First let me prefix this by stating that I do not claim to have watched every local show on television, however I have watched enough to discern my clear favorites and not. This is undoubtedly etv's greatest find since Matatiele, in my opinion. This series offers everything I love in a television show — the acting is impeccable, it is shot well and the actors don't talk too much. It was a given that the incredible Vatiswa Ndara would deliver a stellar performance and Masasa Mbangeni has proven herself to be a force to be reckoned with but it is the pint-sized Khanya Mkangisa who offers some surprise. The young lady can clearly hold her own between such titans of acting and I am very impressed. The supporting cast is in the game too. The show is must watch. While I have to admit that season 2 hasn't really gotten me captivated like season one, I am still watching this show. Yes, the plot has become predictable and the overacting redundant but iGazi still has some fire in it, literally if you watched the episode where the kind was possessed. I am hanging on and hopefully I would still be watching should they have a season three. I genuinely did not expect to like this show. Firstly, I am not much of house music fan, I don't go to clubs. Secondly I figured reality talent search shows in SA are always badly done. But alas, this show has me tuning in to see who gets booted. What I love the most about this show, and I don't know if this has been the case with previous season, is that it is not pretentious. There are no bells and whistles here just pure raw talent and a process to give it a platform to shine. The fast pace gives it that clean progression and for the first two episodes I have seen there is a human connection between myself as a viewer and those contestants without being guilted with some sappy story about their hardships. What would Sunday be without catching up with some wedding drama?! 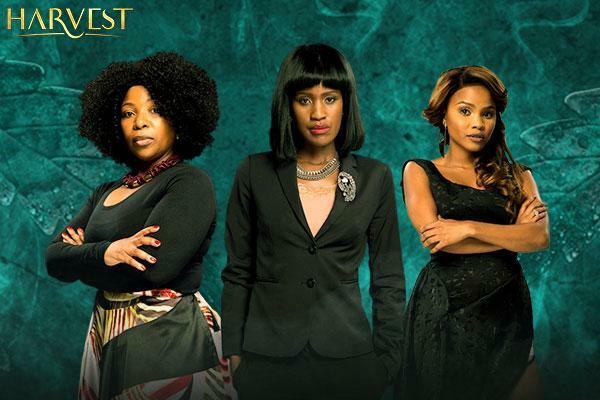 Mzansi Magic's hit show still has me tuning in. Honestly though, no shade to Nomsa Buthelezi, I miss Tembisa Mdoda. Whomever came up with the idea to revamp the show is a genius. I love the new look and feel of RGB. It gives the show an air of glamour and prestige of sort. 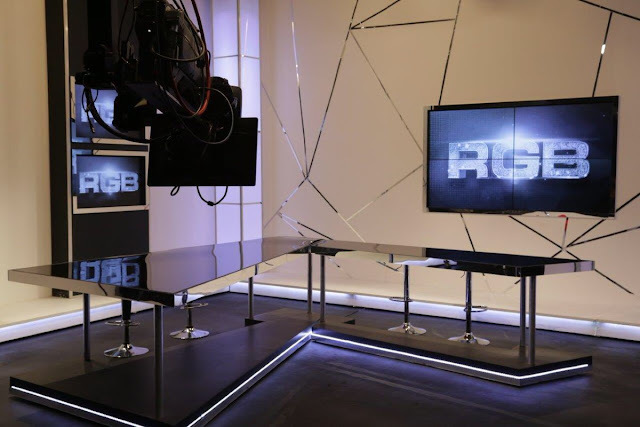 I'm still not that crazy about the random insert questions at events, I feel that's a little too Selimathunzi, but the studio setup does it for me. I also love that Sinazo gets to occasionally have a moment to herself to conduct interviews. I like Phat Joe but sometimes I get tired of that accent and he doesn't connect. The only talkshow in SA right now worth watching. Yes, I have had people who have issues with Anele's hosting style but I have very little to fault the show on. A watch a lot of talkshows. I spend hours a day watching everything from The View to What What Happens Live, it is a very subjective genre to be in. Everyone has their own expectation of how you should talk or what questions you should be asking. So far, I am still on board with Real Talk with Anele, I will definitely let you know when I get off. Since these two are basically the same show, let me just put them together. Honestly, I think I only watch these shows because they air on Mzansi Magic's Sunday block. Yes the 'Uyamthanda Na' episode is a repeat but that in and of itself proves the point that I just wouldn't run home to watch it. Personally, and some people have disagreed with me on this, I think this is the best season of the show. It is shot better and it doesn't feel like Somizi is trying to hard for the cameras. I find that perhaps Somizi has gotten used to having the cameras around and is a little bit more comfortable. Of course there are those moments you see that they are played up for the cameras but I find it fun to watch. Nothing serious. There is clearly some magic with this show. Lorna Maseko is charming, engaging and has some hidden talent I didn't know of. Occasionally I do watch the show but there is a little snarky-ness that seeps through in the commentary. I have found myself asking myself 'was that really necessary?'. If the premise of the show is Lorna offering her hosting skills to her friends and deserving people, the last thing I want to see is her and her co-host looking down on them "behind their backs" — if you catch my drift. But that said, I like the show for when I am just chilling in need of some light hearted tv content. So much promise so little offered, thats how I feel about this show. Inspirational as it is, the show exhibits all the signs of a laziness in production. When I first heard of the show I imagined that it would have some well researched content and actually motivate its title of Six Zeros, but no. The show is basically people telling you that they are worth six figures without any form of verification. I mean; someone said a local celebrity is worth $50 million and they aired that. The show is all about speculation and trumped up numbers which in turn doesn't separate it from any other show that profiles people in SA like say; My World, which is on the same channel. I still watched 3 of its episodes though but I am a little disappointed. Looking forward to seeing the new season. But between you and I, I'm a little concerned. Having celebrities interview celebrities can get tired very quickly. I'm happy for Jessica and Nomzamo but I just wish they's just kept Nandi and added entertainment reporters instead. Our industry is too small to have celebrities anchor celebrity news/gossip shows. They are the news! Oh well... we'll see how this works out. Note: I am not a big fan of soapies and telenovelas. I just don't have the patience to be invested in a storyline for more than 3 months. And ... you've guessed it... I hate shows where actors talk too much and those genres are built on talking, talking, talking!